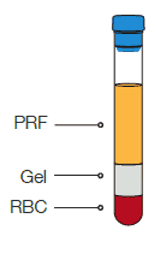 Cellenis® autologous activated Thrombin Rich Serum (TRS™) technology enables the physician to easily use the patient’s pure autologous thrombin, either alone, or to activate the thrombin with the patient’s concentrated platelets (PRP) to release growth factors which stimulate, accelerate and upgrade the body’s natural healing processes in specific localized surgical sites. 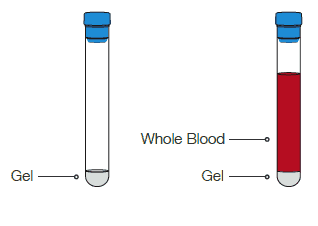 into an 11 or 22ml Cellenis® PRP tube and a single 12 or 23 ml Cellenis® PRF tube. 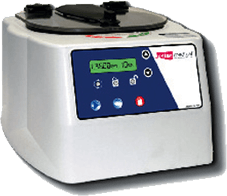 After performing the PRP procedure, PRP is extracted from the PRP tube. 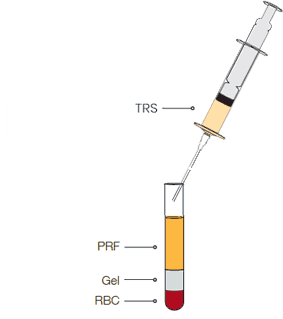 Inside the PRF tube two components will be present: a plasma clot and a thrombin rich serum liquid (TRS™). 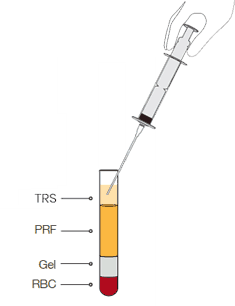 The extracted Cellenis® TRS™ is mixed with the Cellenis® PRP into the syringe. 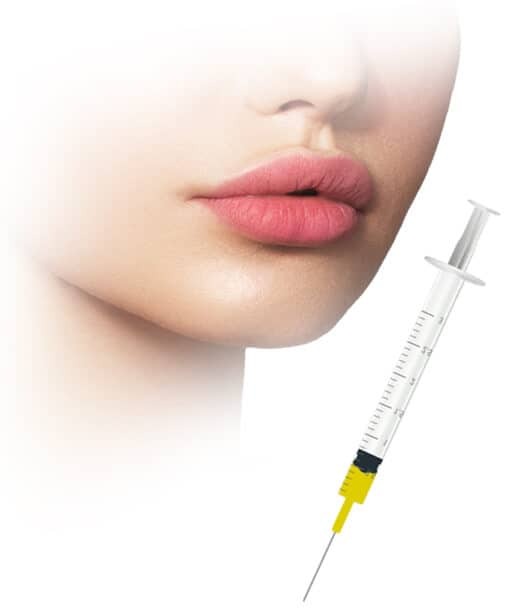 This mixture will be injected into the desired treatment sites using ordinary dermal filler techniques. This natural injected material will provide the required scaffold for a significant facial volume.